Distinguishing Characteristics Caucasian male. Brown hair, blue eyes. Arroyo's nickname is Danny. 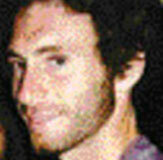 Arroyo was last seen in Kauai County, Hawaii on March 14, 2006. He and his pregnant fiancee, Christina Michelle MacNees, were staying with MacNees's friend, Aurora Solveig Fehring Dingwall, and Aurora's husband, Alan Gareth Dingwall, and their son, Rowan Dingwall, on the Dingwall family's six-acre property. Another friend, Timothy Noonan, was also staying with the family. Aurora's business partner was a landscaper, Carl Rotstein. They were all going to celebrate MacNees and Arroyo's wedding, and Rowan's second birthday was a few days later. Alan, Aurora and MacNees's bodies were later found; photos of them are posted with this case summary. The other four victims have never been located.